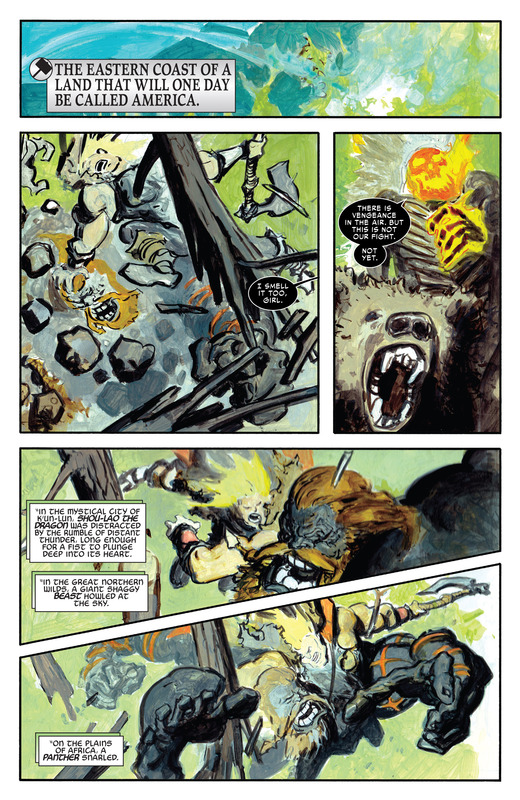 scans_daily | The other time last year a Jason Aaron-written book told tales in parallel.
" The ground quaked for miles. The seas swelled and crashed. Thunder shook the skies all over the world. " The battle and the story flew onto land. 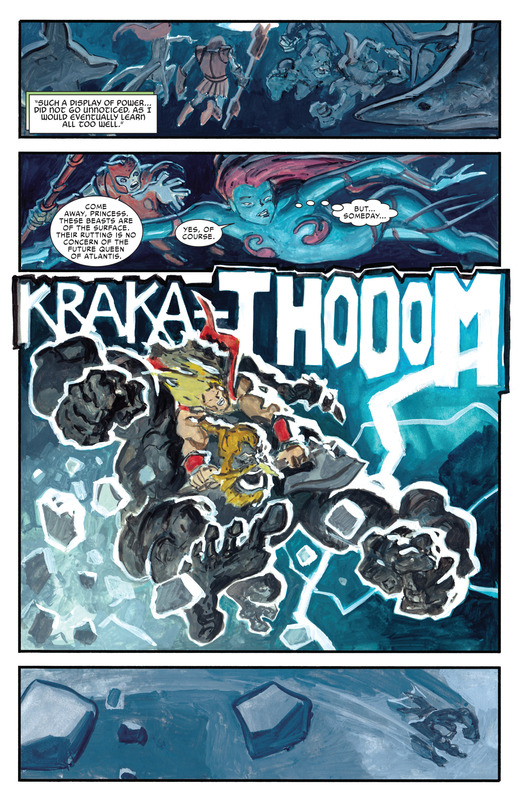 The battle concluded, Thor's opponent punched through the Earth and Loki having vanished in a cloud of spite. The story concluded too, in the present day. Loki took who he'd been telling the tale to- Dario Agger of Roxxon- to a cave with a dragon. Soldiers of Roxxon killed the dragon. (The concept of a corporate-backed church using Asgardian imagery is an amusing 2099 echo. We need Loki to be Thor's antagonist. She humanises them and reminds of stories involving a better Loki. Loki is actually a double-agent. 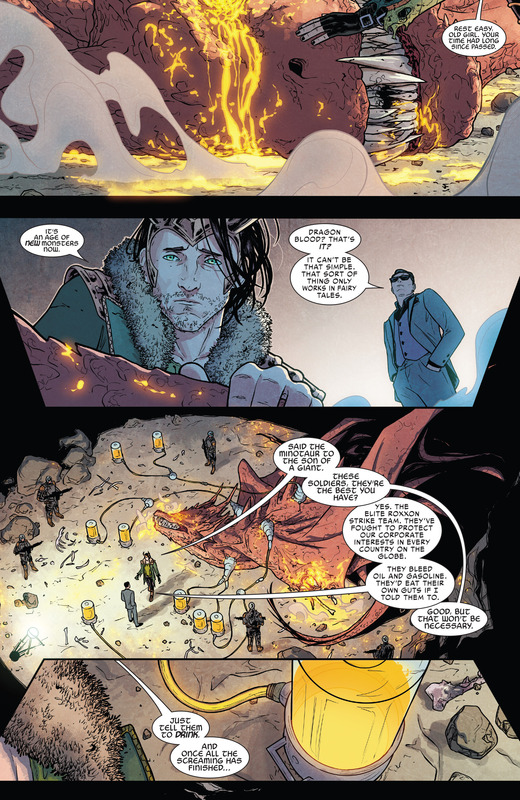 He pretended he betrayed Asgard as a gambit to earn the trust of Malekith and his council but also to stop Freya's revolution since they could not afford it because of Malekith's plan of a war in the near future. Personally, i think issues #6 and #7 are the worst issues of Aaron's run. It feels like they did not have enough material for two issues and had to stretch it. Also, I am sure Garrés is a fine artist, but this looks just awful. That being said, I would like to see the origin of that picture. 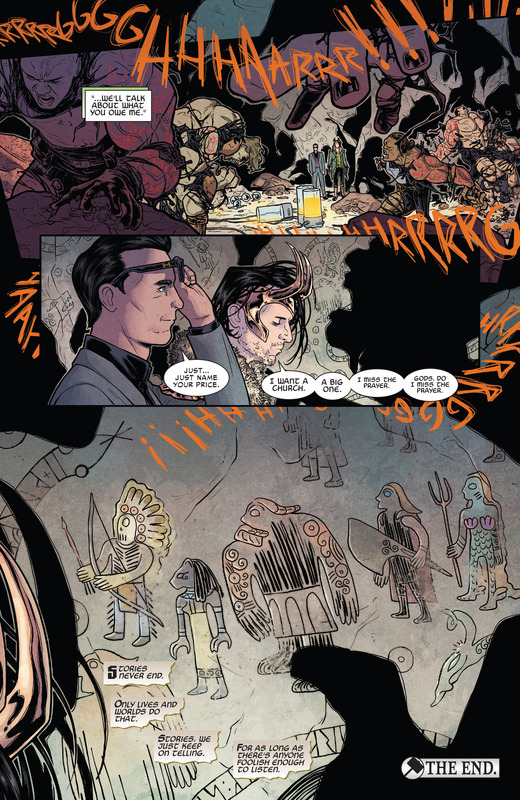 I usually do not have that problem with this series, but maybe that's because I really like Dauterman's art.